Planting fruit trees is one of the best things you can do on your homestead. They take minimal care once they get established and will produce year after year. Even if you have a very small space you can still plant dwarf trees or grow espaliered trees in pots. If you have more space, fruit trees can become integral parts of a productive food forest. No matter who you are, you need to plant fruit trees! What Fruit Trees Should You Grow? 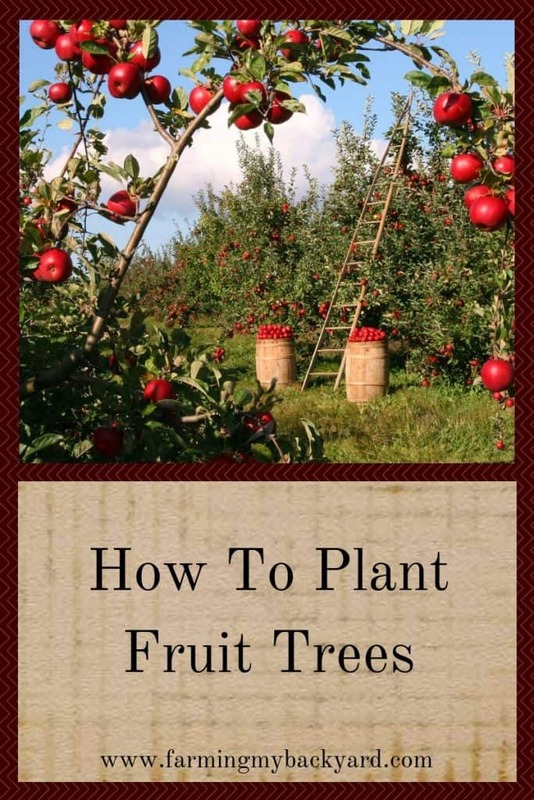 The first step before you plant your fruit trees is planning. There are a few vital pieces of information you will need to know. First, what is your zone? If you have already taken my free gardening course, you will know what gardening zone you are in. If not, you can find it here. The garden zone you live in will determine what types and varieties of fruit tress you will be able to plant. If you live in a very cold snowy area, citrus is not a good tree for you. Likewise, if you live in an area that does not get any frost days, apples may not be the best for you. If you live in a cold area, check out Sustainable Homesteading’s article on cold hardy fruits and vines for ideas on what to plant. Even if you get into the negative forties, there will still be SOMETHING you can grow! If you live in a hot area, which varieties you pick will depend on things such as the PH of your soil, and how cold your winters get. Even in the desert you can grow pomegranates and figs. There really are fruit trees for every climate. How Much Sun Do You Get? Almost all fruit trees need full sun. There are a few that are understory trees that will do okay in the shade, such as the paw paw. However, if you are really invested in a bumper crop of fruit, you’ll want to find a spot to plant them where they receive at least six hours of sun each day. If you have partial shade, go with plums and pears or sour cherries for your trees. You can also add bushes such as currants and gooseberries. Pay attention to where on your property you get full sun and which spots are partial shade. You may find that a location gets plenty of sun in the morning or afternoon, but not a full six hours throughout the day. It’s a good idea to go outside and watch the pattern of the sun in your yard throughout the day and during different seasons before deciding where you want to plant your trees. If you have more shade than sun, don’t despair! Here is a list of some great plants to put in those shady spots. Where To Plant Fruit Trees In Your Yard? If it’s by a building, pick a tree with shallower roots that won’t interfere with the foundation. If your sunny spot is near a fence line, how does your neighbor feel about fruit dropping on their side of the fence? A good way to grow fruit along a fence is by a special kind of pruning called espalier. Here are directions on how to do it. Another good resource on how to espalier, as well as lots of other information is Pruning Made Easy by Lewis Hill. It’s a great resource for learning how to prune just about everything. Not only do you want to make sure you don’t break anything when you dig your hole, you also want to make sure that you aren’t setting yourself up for an expensive repair later if tree roots invade something like your sewer line! And don’t worry if you can’t plant fruit trees in your backyard. Front yards are great places for gardens too! Fruit trees can be both attractive and useful. How Far Apart To Plant Fruit Trees? One of the most common mistakes in planting fruit trees is planting them too close together. I’m totally guilty of this. It’s very tempting when placing those tiny little trees to forget that they will grow much, much bigger! Each variety of fruit has different adult sizes. Citrus for example, needs 12-25 feet between standard size trees. (The bigger the fruit, the more space they need.) Sweet cherries and apples may need as much as 30 feet. Peaches and pears need about 20. If you don’t have enough room for two trees, you can plant semi-dwarf or dwarf trees instead. Semi-dwarf citrus trees only need 6-10 feet between them. Other semi-dwarf fruit trees need 12-15 feet apart and dwarf trees will do fine with only about 8-10 feet between them. If you are really short on space, you can choose self-pollinating fruit tree varieties, where different varieties of one fruit are grafted onto the same root system. We had a couple self-pollinating dwarf fruit trees on our tiny Portland homestead. We also had two columnar apple trees in a side yard that took very little space. Another alternative is planting different fruit trees together. I have never tried it, but it is possible to plant multiple trees together in the same hole. Check out Multi-Planting Strategies from Dave Wilson for more details. The reason you must have two fruit trees, or at the very least a self pollinating variety is because you won’t get any fruit if you don’t! When your fruit trees bloom, pollen is transferred from the male part of the plant to the stigma, the female part of the flower. Because many fruit trees are grown from grafts, they are actually clones of each other. Some fruit trees require pollen from a completely different variety of the same fruit in order to produce, pollen from their genetic clone just won’t do! Just having two different varieties won’t guarantee a good crop though. The trees need to flower at the same time, and then the pollen actually needs to get from one blossom to the other. Trees can be pollinated via humans, the wind, and insects, but the most common method is by honeybees. If your trees are flowering each year, but you don’t get a crop, you may need more honeybees! If you are thinking about raising your own bees, here are four books to get you started. Once you have a good understanding of your growing climate, amount of sun, available space, and number of trees needed, you can pick out what varieties of trees will grow best for you. What Is The Best Time Of Year To Plant Fruit Trees? Now that you have a better idea of WHAT to plant, it’s time to find out WHEN to plant! There are two ideal times to plant bare root fruit trees. They should either be planted in the spring or in the fall when the tree is dormant. If you live in zone 8a or above, planting in the fall is a good idea because the tree can get settled in before spring and has more growing time. However, if you get freezing temperatures it can damage the trees. So if you are in zone 7a or 7b you should pay attention to the weather before deciding to plant in the fall. If you are in a colder zone, it’s best to wait until spring to plant your fruit trees. It’s more work for the tree to establish their roots and new growth at the same time, but there isn’t the risk of them dying of frost. If you plant in the spring, be extra diligent about watering as your tree gets established. Once you have your tree, a great location on your property, and the right time of year, it’s time to plant! Wohoo! Now all you have to do is dig a hole and stick a tree in it and BAM you’re done! Just kidding. Sort of. Definitely dig a hole, though. Dig a big hole, about twice as wide and deep as the roots of your baby tree. I like to fill the hole with water and then wait until it all drains. This make sure there’s plenty of water available to the roots. I’ve skipped this step before, and I have found when I do, the trees don’t get quite as well established as quickly. You can add compost or any other nutritional amendments appropriate to your area to the bottom of the hole. Backfill some of the dirt you just dug out. Now it’s nice and fluffy, which makes it easier for the new roots to get established. Place your tree into the hole, but make sure that the graft is above the soil line. Now fill the hole with the dirt. If there’s extra dirt, you can create a moat around the tree to hold in water. Fill that moat with water, and let it soak into the soil. Tada! Now you’ve planted your fruit tree! Now, trees are much happier with friends, so now is a good time to add any plants that will make up your fruit tree guild. Fruiting shrubs are nice, so are beneficial plants such as chives, clover, comfrey, and herbs. Despite their reputation as weeds, dandelions are a good choice too. It’s also a good idea to include bulbs around the drip line of the tree to discourage grass. Daffodils, irises and egyptian walking onions can be good for this. When creating a guild look for plants that attract pollinators, discourage pests, create a weed barrier, increase fertility, or are useful to you for food or medicine. Here is a list of a few of my favorite plants that bees love. Which plants you choose for your fruit tree guild will depend on your specific needs and location. For more information on fruit tree guilds, check out the book The Suburban Microfarm, or read this article from the author’s website. After your fruit tree and any other plants have been planted, make sure to add mulch around it. Don’t pile the mulch up close to the trunk. Instead, spread the mulch all the way to the drip line of the tree. This will kill grass and break down and provide nutrients to your new fruit tree. If you use chipped wood, it creates a hospitable environment for fungus, and trees thrive when connected to each other through a fungal network. You can use other material such as straw, but it breaks down much more quickly. Wood chips also hold in moisture, meaning your tree will need less frequent watering. (For more information on using straw mulch in the garden, click here). Using bark mulch will also improve the quality of your soil. Here are some more ideas on improving poor soil. The book The Art of Gardening: Building Your Soil is also a good resource. Pruning your tree at planting time will help the tree get off to a good start. You only need to prune it if it is bare root at planting time. It can be hard, but it will help you have a better harvest. Trim off any jagged or broken roots, then cut back the top so that the tree is roughly equal to the size of the roots. If it’s just one small trunk with no side branches, cut it down about a third in height. If there are branches, cut off any broken or dead ones, and cut the others down by one third. Make sure to cut near buds that are pointing towards the outside, so the new branches will grow in the right direction. If you’re feeling nervous about pruning, I do highly recommend getting a copy of Pruning Made Easy. I’ve checked it out periodically from my library, but it’s a good one to have on hand. How Long Does It Take A Fruit Tree To Bear Fruit? Planting fruit trees is the easy part. Waiting for that delicious fruit is much harder! Do you really have to wait ten years to get a harvest? Thankfully, not! Will you pick a bumper crop of fruit off your tree in it’s first season? Unfortunately, no, although you may get a small crop that first year! The benefit of planting fruit trees instead of growing them from seed is that you will get your first crop even sooner, even though it may be more expensive to buy young trees. There are a few trees that will start producing in just a couple years. Peaches, nectarines, apricots, and apples may fruit in as little as two years, although it will take longer to get a bumper crop. Citrus can also produce a crop as early as two years after being planted. These fruit trees will all produce fruit the fastest, even though you will still have to wait a year or two after planting. Cherries, plums, figs and persimmons can have their first crop in as few as three years, although it may be up to five. Plums and pears can be up to four years before they start fruiting. By planting fruit trees grafted onto vigorous root stock, it dramatically reduces the amount of time it takes before your first harvest. If you were growing trees from seed, it could take 5-10 years before they start to bear fruit. There’s a saying that goes the best time to plant a fruit tree is ten years ago. The next best time to plant a fruit tree is right now. Now that you know how to plant fruit trees, go plant! This information is super useful! We planted some peach trees a couple of years ago but definitely wanting to plant some more fruit trees soon! Fruit trees are the best! Great info! We usually plant ours in late winter, because we get them bare root. I must say that the only ones that do super well for us is citrus in our area-we get a ton of it! We have Meyer lemon and two hybrid trees that have lemons, limes, mandarins, and a couple types of oranges. I love citrus. I have a couple lemon trees that finally have fruit on them. I’m very excited. 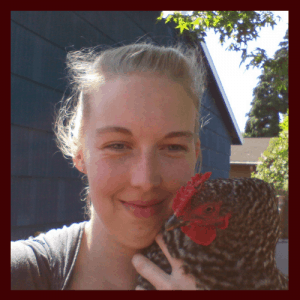 Our planting schedule is different than most other homesteaders, but what great information! We have a tangerine, a guava and a pink grapefruit so far! We also have beauty berries! Very cool! What zone are you gardening in? I love how you add when to plant for different zones! That is one thing I’ve been struggling with, I really want to plant another fruit orchard and fall seemed to be the best time in my opinon. Our winters get really cold here though so I am glad I gave this a read and think I will hold off till Spring! Yes, sound like spring is a good option for you!